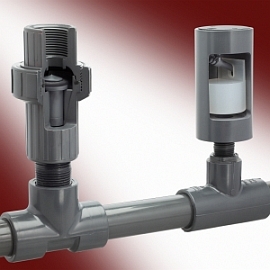 Venting Valves & Vacuum Breakers – Plast-O-Matic Valves, Inc.
Air Release Valves provide high capacity venting of gas at system start up, while Degassing Valves vent trace amounts of gas as it occurs during system operation. Vacuum Breakers open automatically in response to minimal vacuum to prevent unwanted siphonage or collapse of storage tanks. 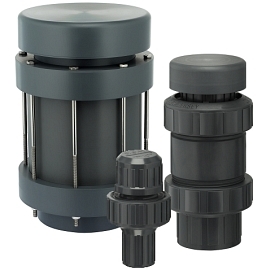 Plast-O-Matic degassing vent & vacuum breaker valves automatically seal bubble tight when not in use; air release & degassing valves automatically reseal when liquid fills the valve.